I am enjoying CW so much and I am spending most of my operating time on this great mode. I am still learning and one of my goal has been to get out and do some SOTA activations. I have started some chasing and that ii good fun when I get the chance. 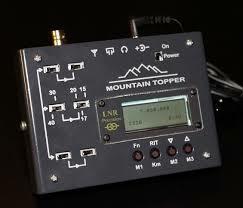 So I have been reading all about SOTA and seen lots and lots of videos on activations and kit that people have. I have liked the idea of having a very small trail friendly radio and just a simple antenna to use, so I have been wanting to get a little MTR radio and so after completing my CWA Level 3 course I thought I would get one. So it is now finally here now that Dennis at Kanga Products managed to get some from LNR in the US. When I got it home and got the power cable sorted to work with my 9v battery I connected it up to my HF6V and tuned around on 40m, Found a station calling CQ and called back. This was a station ins Portugal and gave my a 579 for my 1.5w output, so I was very pleased. Now I have to find a little case for it and see how small I can get Go-Kit! LNR, MTR5B, QRP, SOTA. permalink.